All calculations based on data collected from draw results of Lotto 6/49 - Loto-Québec from almost 30 years. Loto-Québec is a government agency that develops and operates lotteries in the province of Quebec, Canada. Loto-Québec is a Québec government corporation whose mandate is to operate games of chance in the province in an orderly and measured way. 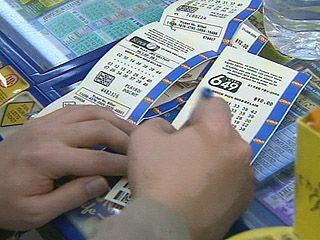 It was created in 1969 to implement a public lottery. Since that time, Loto-Québec's shareholder-the Government of Québec, has given the corporation new mandates that have, over the years, led to a diversification of its activities. Instant (scratch ticket) lotteries Traditional paper ticket lotteries such as the Mini Online or direct access lotteries such as Lotto 6/49, Lotto MAX or Québec 49 and sports betting lotteries. On June 12, 1982, Lotto 6/49 became the first pan-Canadian lottery, with a jackpot of C$500,000. The table below shows how many times each number appeared in Lotto 6/49 - Loto-Québec draws during last 30 years. Our prediction based on Law of large numbers. In probability theory, the law of large numbers (LLN) is a theorem that describes the result of performing the same experiment a large number of times. According to the law, the average of the results obtained from a large number of trials should be close to the expected value, and will tend to become closer as more trials are performed. The LLN is important because it "guarantees" stable long-term results for random events.